Hillmap.com is a Google Maps mashup, allowing you to pick and choose the best topo, terrain or other map layer for your free, customized map. Learn more about the map layers available on our site below, or visit hillmap.com to investigate for yourself. 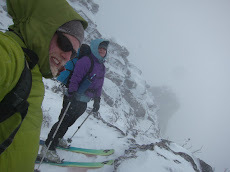 If you know of or have access to other great publicly accessible map layers useful to backcountry users, send us an email! The Map is the Google Terrain Map available at maps.google.com. This is one of the two default maps at hillmap. This map is great for orienting yourself; I use it to zero in on the area I am most interested in exploring. Roads, cities, rivers and mountains are visible in a level of detail that facilitates navigation. I find that topographic maps are a little more difficult to navigate on the state or mountain range level. Worldwide coverage. The Satellite view is the other default map at hillmap that appears on screen when you first navigate to the site. It is also a map layer available at maps.google.com. The satellite view is extremely useful for looking at tree cover, estimating how much bushwhacking might be on your route, and finding sections of downed trees. Worldwide coverage. 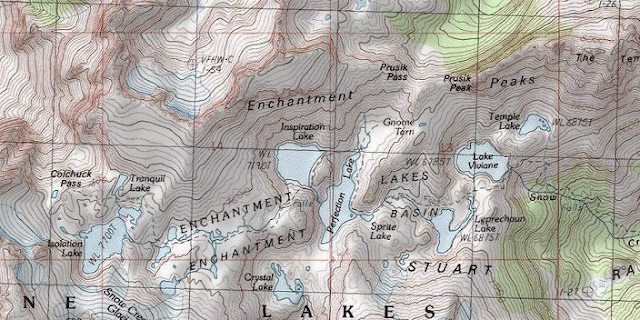 The Caltopo layers are excellent topographic maps originally created by Matt Jacobs for Search and Rescue. These maps are based on USGS 7.5" topos. High resolution on screen and for printing. I use these maps most often for the final steps in planning a trip and for printing a map. 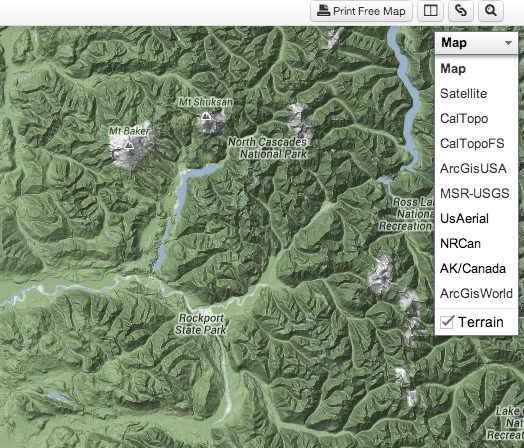 The Caltopo FS layer is the US Forest Service maps. I switch back and forth between the Caltopo and CaltopoFS layers to see which layer is best for my route. These are scanned USGS topo maps for the US from ArcGIS software from ESRI. This is Microsoft's version of the USGS topo maps. US Geographic Service aerial photo coverage of the United States. Black and white photograph maps. Slow to load. Topo maps of Canada produced by Natural Resources Canada. Rivers and cities are visible at the country or province level view, zoom way in to see the topo lines. Topo maps of Alaska and Canada produced by Geographic Information Network of Alaska. These are ArcGIS topo maps covering the entire world. I recommend you to have a peek at this blog. It contains a lot of useful essay writing guides! You can improve your blog post next time. Whitewater in our $12 "Packrafts"